Warsaw, not high on every traveler's list, is nonetheless the gateway to Poland and an interesting place that remembers and embraces its history. 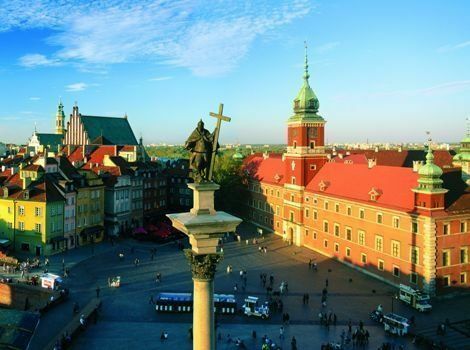 As Poland’s capital and largest city, it is unfortunate that Warsaw has been referred to by some as the ugliest city in Europe while others sing praises for Krakow. A recent visit to both of these citiies suggests that such a label is unfair. The Vistula River divides Warsaw and its suburb Praga, a rundown part of town with a burgeoning renaissance thanks to artists and restaurateurs. Although slowly building itself up, Praga still has quite a way to go before it will be as hip and as safe as the city planners would like. So yes, the buildings on the outskirts of the city, which are mainly high-rise apartments that were poorly built during the post World War II Communist era, do deserve this criticism. But the real heart of Warsaw shines through its Old Town which, as the historic district, possesses true European charm. The irony of Warsaw’s Old Town is that it is not really old. During World War II, under orders from Hitler, the German army destroyed all but 15% of Warsaw. After that war, Poles from all over the world collected money to rebuild the inner city — as it was — working from pre-war drawings and photographs. The 17th- and 18th-century architecture was copied, stone for stone, brick by brick. A favorite place for Warsovians and tourists alike is the central square. Better know as the Castle Square, it is surrounded by Royal Castle, parts of which are open to the public (don’t miss Canaletto’s painting “The Royal Castle”); St. John’s Cathedral, rebuilt to look like the 15th-century original; and the Citadel, a tower made of red bricks, overlooking the Vistula. What most people find amusing and attractive about Castle Square is its atmosphere: the young and the old strolling, horse-drawn carriages waiting for passengers, buskers and elderly men dressed in native costumes squeezing the “William Tell Overture” out of their accordions. It’s a happy scene, especially when the weather is nice. Like most other parts of Europe, the climate is determined by proximity to the sea and the mountains. For Poland that means the Baltic Sea and the Carpathian Mountains. All parts of the country used to expect snow in the winter months but lately that has been variable. Spring and Fall are very pleasant. History plays a very large part in the landscape of Warsaw. Monuments that commemorate the ups and downs of the nation’s history are numerous and taken very seriously. Some of the most famous are dedicated to the Warsaw Uprising, usually called by the Poles, the Warsaw Rising. Also of significance are the Ghetto Heroes Monument and the Brandt Memorial, a memorial to German Chancellor Willy Brandt, who apologized to the Polish people on bended knee for the atrocities committed by his country during World War II. Flowers and candles line their bases. As for museums, there are several but the most fascinating is the Warsaw Rising Museum. It documents, with original film clips, uniforms, artifacts and very informative wall texts, the tragic and hard-to-imagine story of the 759 acres in the middle of Warsaw that were walled off from the rest of the city by the Germans, to isolate 450,000 Jews. Their rebellion was valiant but in vain. Many died in the ghetto, others in concentration camps such as Treblinka in northeast Poland and Auschwitz (O?wi?cim in Polish) in the south. Many families with older children plan their visits to Poland to see just these sites. 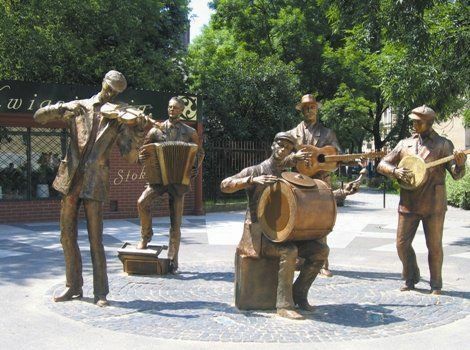 For all the sadness experienced by the Polish people, there remains, along with a persistent resilience and national pride, a great love for arts, crafts and music — from the folksy oompah-pah-pah variety provided by street musicians to klezmer and, particularly, the music of FrÃ©dÃ©ric Chopin. 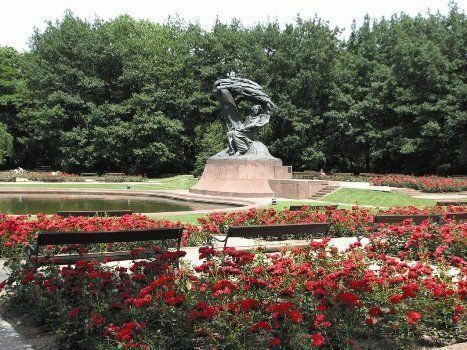 The bicentennial of the birth of FrÃ©dÃ©ric Chopin in 1810 is to be celebrated all over Poland, especially at the monument to the great composer in Warsaw’s Lazienki Park. This is where free concerts are given by up-and-coming musicians, typically Sundays from noon to 12:45, during the milder weather from spring to fall, free of charge. Go early if you want a seat on one of the benches. I would estimate that there were 1,000 people at the concert I attended. The decorum and intensity of attention displayed by the almost exclusively Polish audience was impressive. located in the center of downtown at ul Marszalkowska 94/98, 00-510 Warsaw, Poland (+48/ 22/5960000). 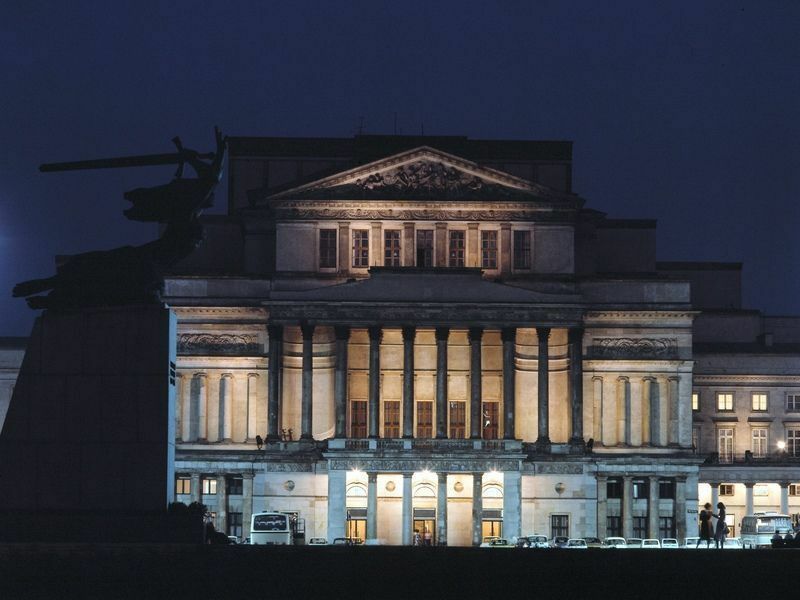 It’s conveniently near the train station when you plan daytrips, and close to the iconic Palace of Culture and Science. Among several restaurants is a fun cafe, and they have a fitness room with gym and sauna on the 31st floor. As at other Novotels, there are special family perks all year long: Families can take advantage of special weekend rates; get a late check-out up to 5pm on Sunday; receive a special welcome gift; and get kids’ accommodation and breakfast free for two children under the age of 16 staying in their parents’ or grandparents’ room and having breakfast together. Rates start from under $ per night in low season. And let me repeat a few words of advice you may have seen in my coverage of Krakow. Although the country is a member of the E.U., the currency is still zlotys. This means that Poland is generally less expensive than other European countries. Meals are robust and there is, almost no such thing as eating a salad only. Menus include hearty soups, pork (often fried), delicoius flour dumplings filled with cheese, meat or vegetables called pierogi, potatoes every which way, delicious freshly-baked breads, and creamy desserts. If reading the menu is a problem — in fact Polish for a non-native is always a problem as words tend to resemble a Scrabble game with no vowels — you can point to what’s on the next table. Poles want you to enjoy their food as well as their culture and their country. For more information about the country overall, visit the Poland Tourist Organization website.